According to Forbes magazine, the cybersecurity job market is expected to grow to more than $170 billion in just four years, making it not only one of the fastest growing employment segments in IT, but one that also comes with six-figure salaries, security and plenty of room for upward mobility. Unfilled cybersecurity jobs will reach 1.5 million by 2019. This year, analysts and the media concluded there is a severe shortage of cybersecurity talent globally. There were 1 million cybersecurity job openings in 2016, and that is expected to reach 1.5 million by 2019. Cisco reported that currently more than 1,000,000 available cybersecurity jobs in the U.S. alone and 6,000,000 globally. Human attack surface to reach 4 billion people by 2020. As the world goes digital, humans have moved ahead of machines as the top target for cybercriminals. Microsoft estimates that by 2020 4 billion people will be online — twice the number that are online now. The hackers smell blood now, not silicon. Up to 200 billion IoT devices will need securing by 2020. Intel claims that the number of connected devices could surge to 200 billion by 2020, up from 15 billion in 2015. Cisco and Microsoft have both predicted 50 billion devices will be connected to the Internet by 2020. Regardless of which estimate proves right, the bottom line is that the digital attack surface will grow massively over the next five years. Microsoft adds that by 2020 data volumes online will be 50 times greater than today. Last year, U.S. News & World Report ranked cybersecurity eighth on a list of the 100 best jobs. Cybercrime damage costs to hit $6 trillion annually by 2021. The Ponemon Institute reported that the average cost of a cyber breach has reached $3.8 million. Cybersecurity spending to exceed $1 trillion from 2017 to 2021. The rising tide of cybercrime has pushed cybersecurity spending on products and services to more than $80 billion in 2016, according to Gartner. "Cybercrime is the greatest threat to every company in the world." And she was right. During the next five years, cybercrime might become the greatest threat to every person, place, and thing in the world. With the vast amount of sensitive data now stored in the digital universe — everything from social security numbers to financial records and matters of national security — it’s critical that we secure and protect it from malicious interests. For vital computer networks and electronic infrastructures, cybersecurity experts stand as the last and most effective line of defence against such attacks. Post Graduate Program (PGP) in Cybersecurity in association with IBM. 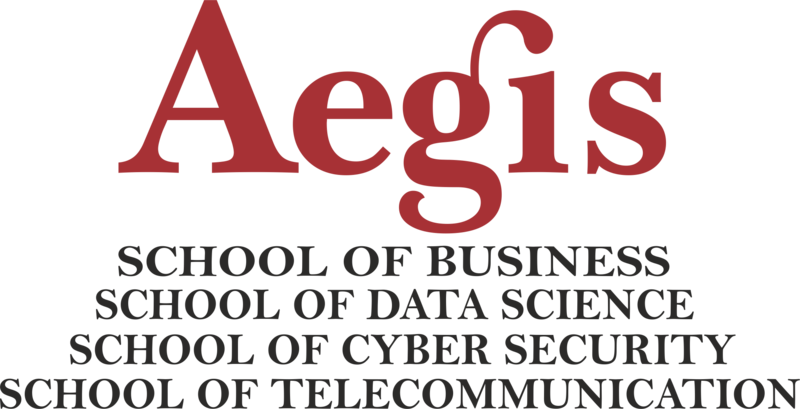 Looking at the huge gap in skills for Cyber Security, Aegis has launched Post Graduate Program (PGP) in Cybersecurity in association with IBM. This PGP in Cybersecurity is an interdisciplinary program that prepares students with both the academic and practical training to be competitive in the ever-changing technical landscape of cybersecurity. There has never been a better time to specialize your skills. Elevate your technical abilities in booming areas like cloud security, wireless network security, and mobile device hacking. The cybersecurity field is expected to generate many new jobs over the next decade as industry and government continue to emphasize safe data and information system. As a graduate of the Cyber Security Post Graduate program you’ll be ready for a career as a developer of security products, security application programmer, security analyst, and penetration tester. You can also pursue work as a security researcher, vulnerability analyst, or security architect, or continue your studies toward a doctorate.